Freetobook glasses on the catwalk in Paris. Check bookings, manage channels, send invoices and emails from your glasses. Freetobook looks at the Internet Booking Engine of the future with this fun one minute video ! Will the future of online booking management look something like this ? Integration with glasses or other wearable technology enables you to manage your bookings on the go. While it’s slightly tongue-in-cheek we can see the application of wearable technology letting you know how your business is doing. SCAM ALERT: A number of accommodation owners have made us aware of bogus callers who claim to be offering to put your accommodation on GoogleMaps and GooglePlaces. They say they can do this for £149 per year or £199 for two years. 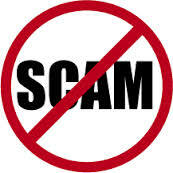 It is essentially free to get listed on Google so do not pay these cold calling scammers any money – it is a sham. If you have had a bad experience with a Scam let us warn properties – share it on freetobook facebook page – click here. At freetobook we have created a low cost, pay as you go credit card handling system for UK accommodation owners. FabPay offers full integration with your freetobook booking system, saving time and money when you switch to FabPay. With FabPay, taking payments is no longer a complicated drawn out task. Just click the button and the payment is on it’s way to your bank ! 1) Simple and quick – card payments made in seconds. 2) Secure and PCI compliant, all transactions are made on the SagePay gateway. 3) Simple to setup – You can run FabPay alongside your existing card payment system, no need to change. 4) NO monthly costs and NO tie in period, simply pay as you go. 5) Cost neutral, you can make a small charge to your customer for card handling so it costs you nothing. 6) It’s all connected, your online and phone payments are shown in each booking. 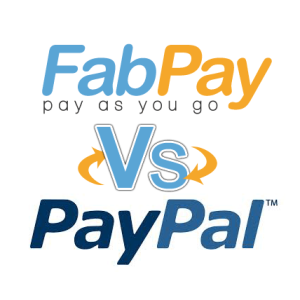 Many smaller properties use PayPal for card transactions, this could be very expensive compared to FabPay. If you are paying PayPal 3.4% on a debit card this could cost you £10.20 on a £300 booking. With FabPay a debit card transaction costs only 22 pence + a max gateway fee of 75 pence, a total of no more than 97 pence using FabPay. Massive saving ! With FabPay there is a one off setup fee of £69. Credits are then bought to pay for each transaction (gateway fee). The more credits you buy the cheaper each transaction is (payment). The most you ever pay is 75 pence but it you are using a larger number of transactions you could be paying as little as 24 pence per payment (gateway fee). Existing customers of freetobook can easily register for FabPay low cost payment system in Tab”Plus” and SubTab”FabPay” – start saving today !